At Aan die Oewer, we have created a haven for the travel-weary soul. 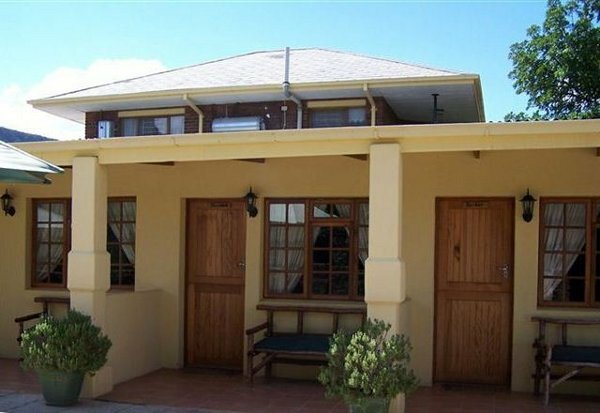 Situated in the quietest part of Graaff Reinet, this B&B takes pride in providing comfort and a sense of well-being. We offer three bedrooms, each with private entrances, en-suite bathrooms, two single beds, air-conditioning, tea and coffee facilities, and home-baked rusks. In addition, we also have one two-bedroom family-unit and one two-bedroom self-catering cottage with a fully equipped kitchen. The large garden boasts a swimming pool, ideal to cool off on a hot Karoo afternoons, and barbecue facilities have been provided for those who just want to sit around a fire in the beautiful Karoo evenings. Children are welcome. Breakfast available on request. Contact Aan die Oewer here.